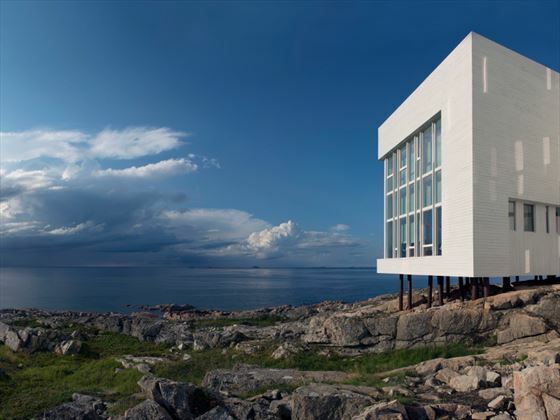 The extraordinary Fogo Island Inn is situated on a small island which in turn is situated off the island of Newfoundland. 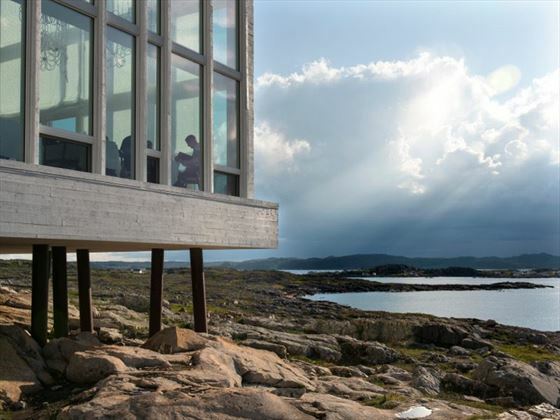 Fogo Island itself has been described as “not so much a place as a state of mind”, and here you will find warm hospitality set amongst the bright-coloured clapboard houses and rugged coastline. 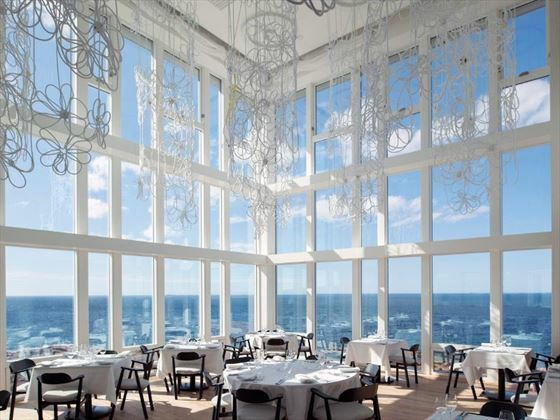 Its unique structure offers unparalleled views of Iceberg Alley, and all 29 suites feature floor-to-ceiling windows opening onto the ocean. 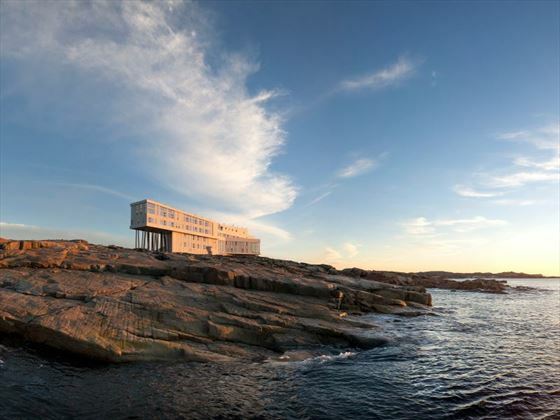 This uniqueness is underlined, by the fact that this boutique hotel is operated as a social business and 100% of operating surpluses are reinvested into the community. 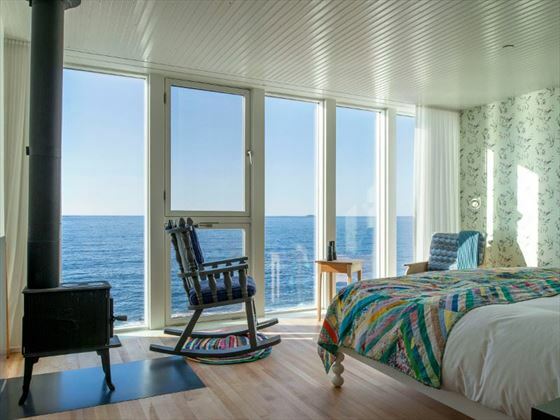 Fogo Island Inn mixes contemporary design with traditional materials and décor, with natural wood floors featuring in-floor heating. You will have access to the Inn’s bicycles and weather gear to explore the island. 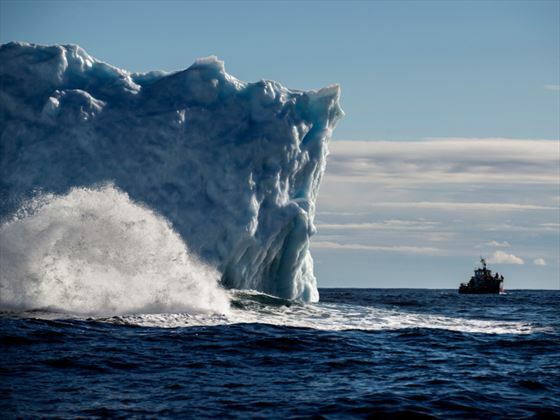 And on your return you will find Newfoundland books to browse and array of creature comforts. 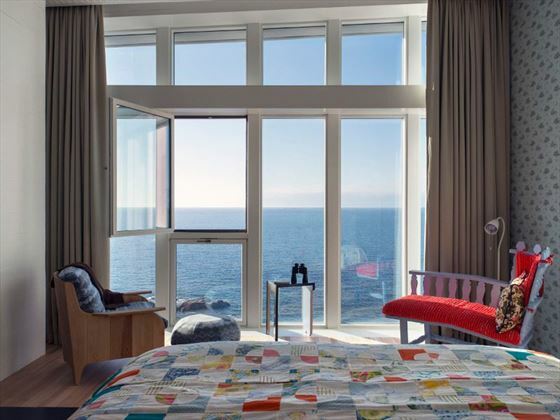 The only plastic in the guest rooms is the telephone and the only sound you’ll hear is that of the ocean. 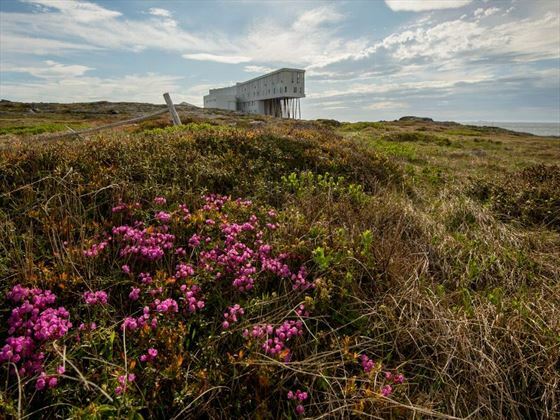 The public building is also home to the Fogo Island Cinema as well as the island’s Art Gallery. There is a gym, a lounge and bar, roof-top sauna and hot tubs on the terrace. 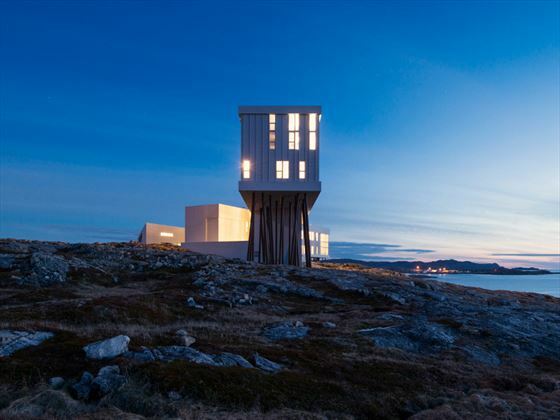 The award-winning dining room features new-Newfoundland cuisine.